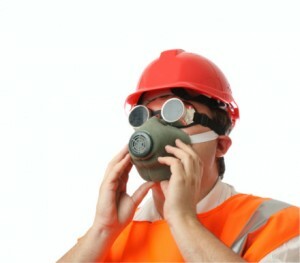 For your safety and peace of mind, always work with an asbestos certified contractor in Corona CA like AQHI Inc. If asbestos has been discovered on your property, your health is at risk. The best way to eliminate this risk is to trust your asbestos removal to an asbestos certified contractor in Corona CA such as AQHI Inc. In addition to holding 5 separate certifications related to asbestos handling and disposal, we also have over 20 years of experience and roughly 50,000 successful remediation projects under our belt. Compliance: As an asbestos certified contractor in Corona CA, we comply with all rules and regulations on asbestos handling and disposal. Our compliance makes it easier for commercial property owners to secure the clearances they need to reoccupy their buildings following work. Don’t get stuck holding the bag–literally–because a company you thought was an asbestos certified contractor in Corona CA can’t actually provide asbestos waste removal. At AQHI Inc., we have the special certification required to transport asbestos in California, so we can provide truly complete asbestos removal service for you. Our quotes always include removal, disposal, and cleanup. It is very important to remember that although asbestos contamination is invisible, it is still very dangerous and the threat should not be underestimated. Do not put your health at risk by attempting a DIY cleanup! Instead, call an asbestos certified contractor in Corona CA like AQHI Inc. for help. With multiple locations in southern California, we can launch a fast response no matter where your property may be located. Our asbestos removal office for Asbestos Certified Contractor in Corona CA is open Monday through Friday between 8:00 AM and 5:00 PM and closed for lunch from noon to 1:00 PM. With advance notice, projects can be scheduled for weekends, early mornings and evenings.